India finds expression in its streets – be it culture or be it cuisine! This is truer than ever when said in the context of Mumbai, where street food is relished even by the millionaire who travels in a Mercedes Benz. For just a few rupees one can purchase hot, fresh and delectable snacks sold by vendors from makeshift or portable stalls. Add to this a range of thoughtful accompaniments, and you can have a wholesome and delectable meal at less than half the price of any restaurant. 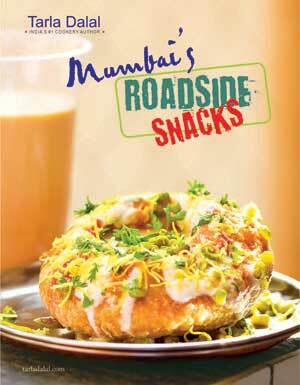 Indian street food varies from region to region. However, wherever you are, you will surely find a large selection of scrumptious snacks, each prepared more temptingly than the other. The snacks are prepared right in front of your eyes, enticing you with the wonderful spicy aromas. The vendor remains unfazed however high the order-load, and continues to serve each customer with a smile – remembering to cater to their individual preferences, whether they want the dish without onions or extra spicy, or by-two! Walk alongside me as we explore the streets of Mumbai like PAV SNACKS, FAMOUS CHAATS, IDLIS & DOSAS, ALL TIME FAVOURITE PAY BHAJI, SANDWICHES, CHINESE FOOD and a lot more! The snacks are prepared right in front of your eyes, enticing you with the wonderful spicy aromas. In fact, some of the vendors gain such a reputation for their snacks that people will journey far to experience the food from a specific vendor. Orders come pouring in as the vendor prepares freshly-fried or mixed snacks right in front of your eyes. He never seems overwhelmed however high the order-load is! What is more, he also caters to everybody’s preferences.... ”Bhaiyyaaa…zara theeka kam banana”, “Aur ek papdi do na”, “Ek Jain sandwich banana”… everybody is heard and served with equal attention! However, for those who wish to make these in the safety of their own kitchen, this book serves as a guiding light, presenting the basic technique of making each dish, apart from capturing the intricacies of each street food and taking you for a walk along the Mumbai roads, showing you the foodie’s favourite spots and even the price range of each food! Recreate the magic on your kitchen table… but don’t forget to put aside your expensive Chinaware and bring out the paper plates, to bring alive the true spirit of street food!